Go ahead, tackle those weeds. Federal Registration Is Pending. Anticipated Availability — Fall 2019. For educational purposes only. Not intended as a promotion for sale. GameOn™ specialty herbicide, a cutting-edge formulation, delivers complete broad-spectrum postemergence broadleaf weed control. No weed challenge is too tough for GameOn, which includes new active ingredient Arylex® active and a unique formulation of 2,4-D. GameOn delivers fast-acting systemic control of more than 100 broadleaf weeds. GameOn is thoroughly tested and proven safe around trees. * Additionally, it is recommended for use on cool-season turfgrasses, as well as bermudagrass and zoysiagrass. *Has been tested thoroughly on the following species: ash, linden, locust, maple, oak, pine, spruce and sweetgum. See how the new unique mode of action of Arylex® active works. 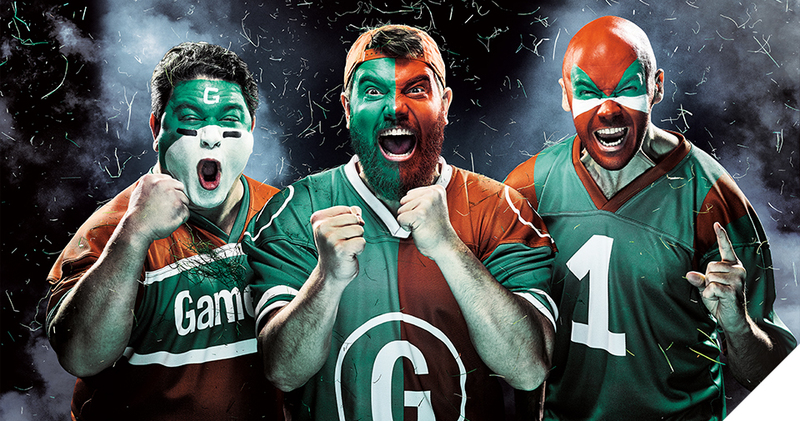 Be the first to know when GameOn is available for sale in your area! Sign up now for alerts and get a free Weed Guide. *At mowing heights greater than 0.5 inch. Clover is a low-growing creeping winter weed that begins to actively grow from seeds or from stolons in cooler temperatures and increased moisture. 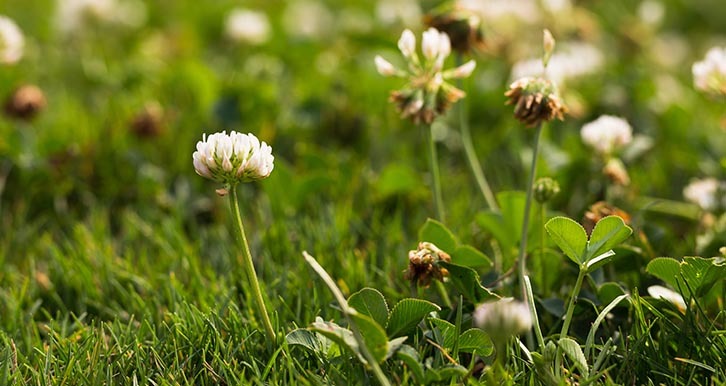 To best control clover, apply GameOn™ specialty herbicide in the fall. 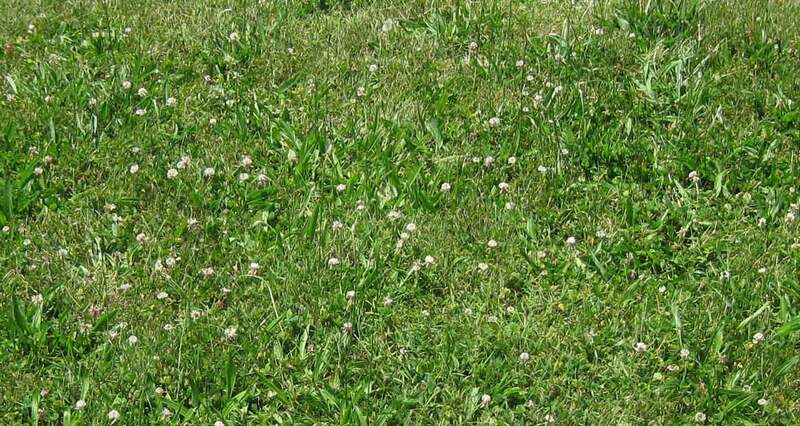 Clean up any winter clover that may have survived the winter frosts with a spring application. Dandelion is characterized by bright yellow blossoms with many petals, which are then followed by puffball seed carriers. Leafless, hollow stems emit a white, milky sap when broken. 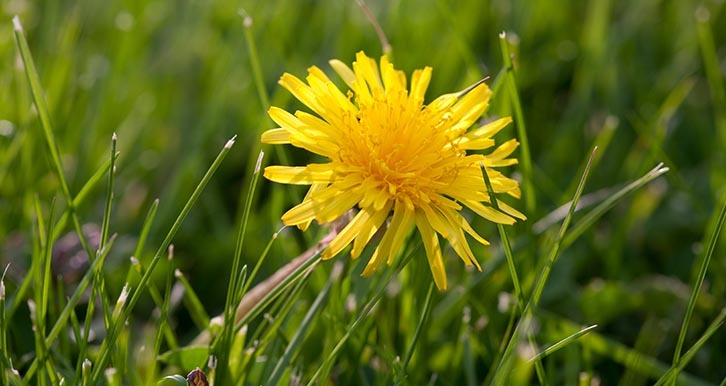 Dandelions grow all summer in most conditions and soils, but especially thrive in thin turf. To control dandelions, it’s best to apply GameOn to actively growing weeds. This prostrate creeping perennial weed has square stems several feet long that root at the nodes with small funnel-shaped purple flowers that grow in clusters. Ground ivy prefers moist, shady sites and tolerates low mowing heights. 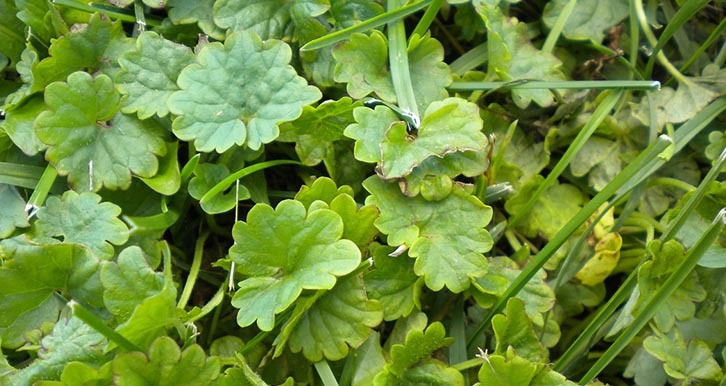 Fall is an excellent time for treatment, and applications of GameOn also can be done in the spring, when ground ivy is flowering, to gain effective control. Commonly confused with purple deadnettle, henbit is a winter annual with square flowering stems that can grow to 10 feet tall. 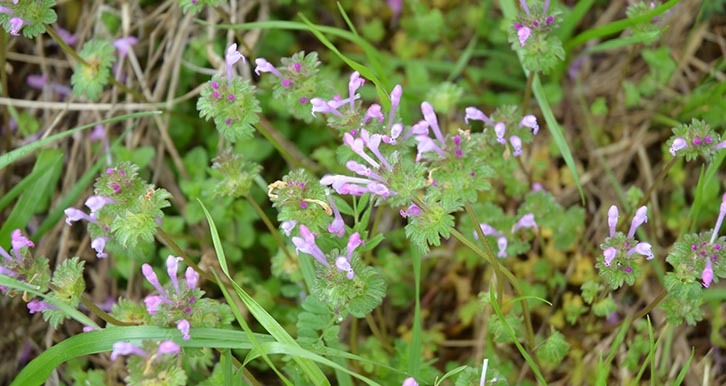 Henbit thrives in thin nutrient-rich soil. For postemergence control, apply GameOn to actively growing immature henbit. If applied to mature henbit, more than one application may be needed. 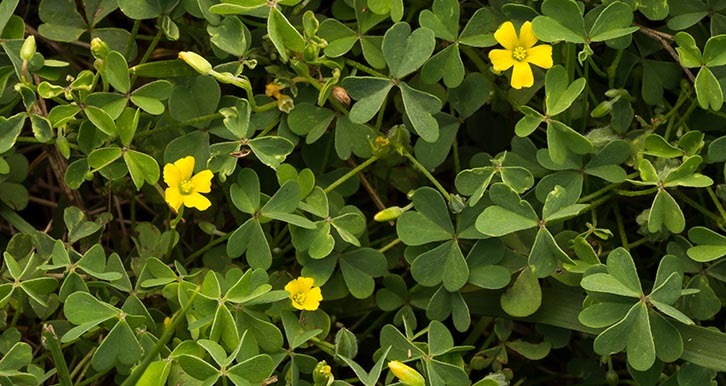 Oxalis features hairy stems and bright yellow flowers with five petals that flare outward. Oxalis reproduces via seeds and rhizomes and prefers moist to slightly dry conditions in rich loamy soil. Oxalis is not easily controlled with most standard postemergence herbicides. Apply GameOn™ specialty herbicide in spring to immature plants. Repeat applications may be needed. 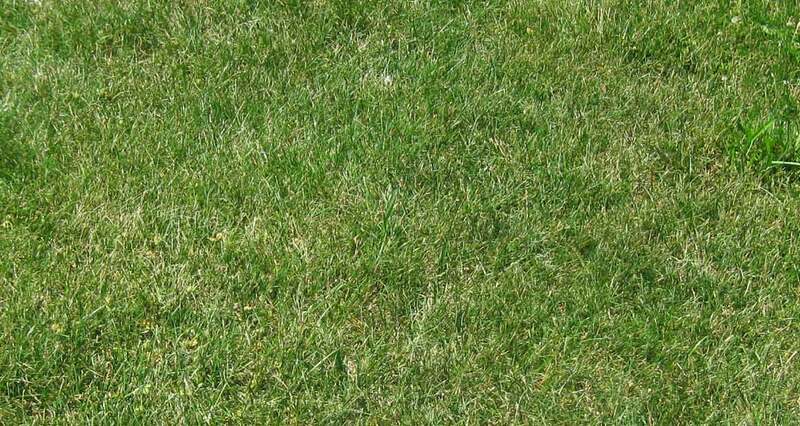 In addition, proper turf maintenance is key to controlling this weed. Broadleaf plantain has a short, thick taproot that forms a rosette of leaves that lay flat to the ground. Flowers appear on leafless, unbranched stalks that originate from the base of the plant. Plantain adapts well to most sites, including dry or wet conditions, heavy soils and very low mowing heights. 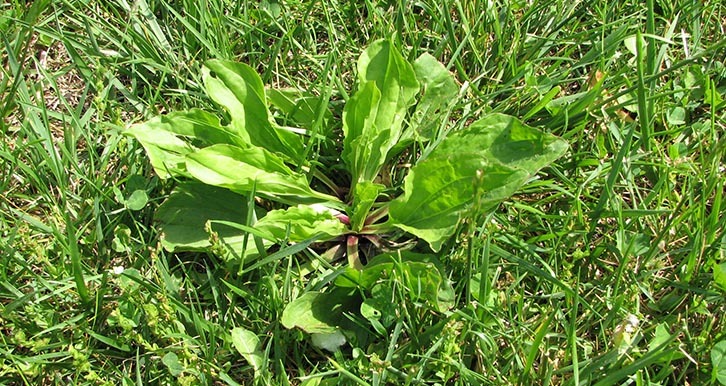 Plantain is highly susceptible to GameOn, so repeat herbicide applications are not normally required and turf management practices that may reduce infestation include soil aeration, avoiding overwatering and using proper mowing heights. When you need weed control that’s tougher than the weeds, look no further than GameOn™ specialty herbicide. It’s the very definition of performance. Arylex® active, a new active ingredient in a new chemical class, has a unique binding affinity in the plant cell’s nucleus that makes GameOn™ specialty herbicide fast‑acting. No weed challenge is too tough for GameOn. GameOn™ specialty herbicide provides fast-acting systemic control with visual results in 24 to 72 hours, and complete control at four weeks, as shown above with narrowleaf plantain. When will GameOn™ specialty herbicide receive registration? Federal registration is pending and is anticipated in fall 2019. When will GameOn™ specialty herbicide be available? GameOn™ specialty herbicide will be available for sale in fall 2019. What effect does GameOn™ specialty herbicide have on trees? GameOn™ specialty herbicide was thoroughly tested for three years around trees, and found to have no injury when applied within the dripline. Ash, oak, locust, linden, maple, spruce and pine were species tested. Arylex™ active is the first member in a new class of synthetic auxin herbicides. It acts as a growth regulator, providing consistent control across a variety of climatic conditions. Be the first to know when GameOn is available in your area! Sign up now to receive alerts and a free Weed Guide. Subscribe to the Panorama™ blog to get the latest news for professional turf and landscape managers. Corteva Agriscience™, Agriculture Division of DowDuPont cares about your privacy. Your personal information (name, email, phone number and other contact data) will be stored in chosen customer systems primarily hosted in the United States. This information will be used by DuPont, Pioneer and Dow AgroSciences, businesses of Corteva Agriscience™, Agriculture Division of DowDuPont, their affiliates, partners, and selected third parties to provide you with the product or service information requested. To learn more, please visit www.privacy.corteva.com. By providing your personal information, you agree to the terms and conditions of this Privacy Statement.